Custom backgrounds are a way to change the theme of the room or game setup you’re having. Custom backgrounds do not change the lighting, just the scenery, but you can adjust the lighting of your scenes in the lighting menu. Backgrounds are placed on a sphere, so it’s important to get HDRI Panorama images for the best effect. 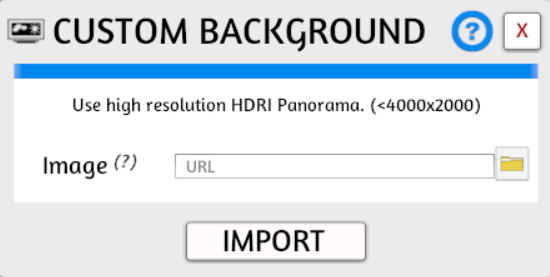 You can do a search on your browser of choice for “HDRI 3D” and filter your results to only include hi-resolution images. Best size images are around 4k. If you use an image 8k or more, you will most likely crash the game and any others who may not have a strong enough computer, so use best practices when choosing your images. Be sure to ask the artist for permission before using their images. You can also find plenty of creative commons HDRI images. Once you have your image, upload it to your host of choice or use the file browser to upload it to your Steam Cloud (good for multiplayer/Workshop) or to load from your local files for private use. To load your background in game, be sure to choose a default background first as that will determine what your lighting will be. Then click on Objects -> Backgrounds -> Custom Backgrounds. Enter in the URL to your image in either JPG or PNG format and click Import. You will now see your new background be overlayed on top of the default background you last chose. 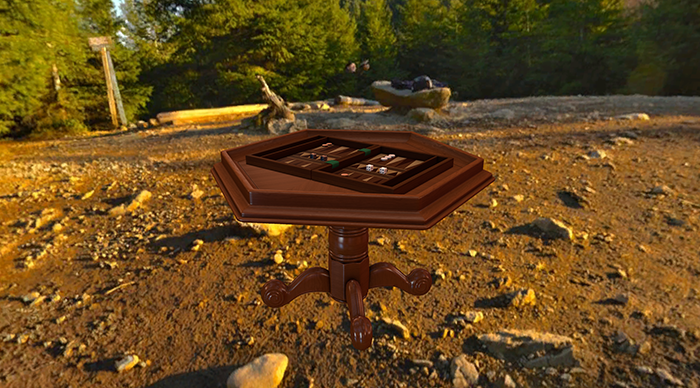 If you choose an HDRI 3D image, it will look like your table is in the middle of it all. If you use a regular image, you may see a seam in the middle of it as you spin around and it doesn’t look as nice or clear. Remember to press P to change your perspective if you want to see what the sky and ground looks like. Then press P twice to go back to the default perspective.